Barry Mann was born Barry Imberman, on February 9, 1939 in Brooklyn, New York. Cynthia Weil was born on October 18, 1940, just across the river in Manhattan. After completing school, they began their careers. She became an actress and dancer and he pursued a career as a vocalist. Both showed major talent as songwriters, however, and various mentors and colleagues steered each of them towards careers operating behind the scenes. In the late 50s, they were both hired to pen tracks for other artists by the prestigious Aldon Music, a successful music company run by Don Kirshner and Al Nevin. As staff songwriters, their job was to write hit songs for everyone. Mann first achieved some success working with other writers. He penned such tracks as "She Say (Oom Dooby Doom)," for The Diamonds in 1959, which reached the Top 20 on the charts, and co-wrote "I Love How You Love Me" for The Paris Sisters, which went on to climb to #5. He even scored his own hit single with the track "Who Put the Bomp." 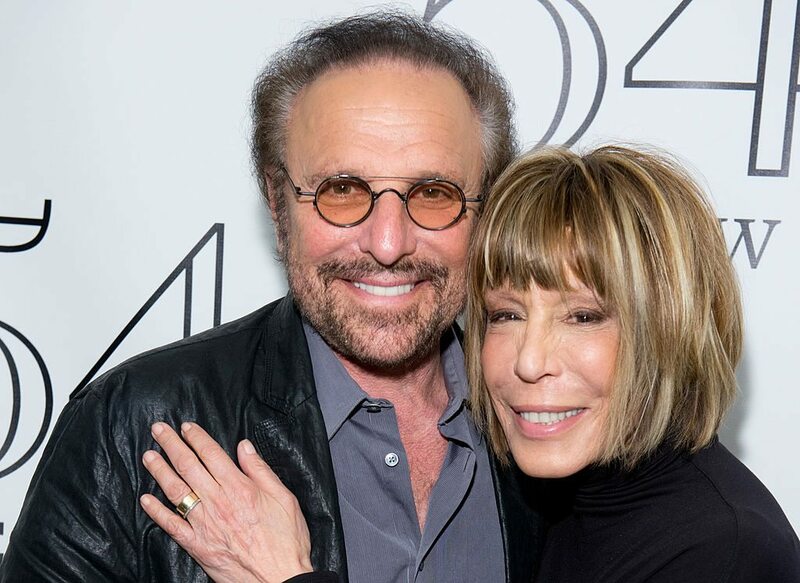 It wasn't until he teamed up with Cynthia Weil, however, that the hits began coming in, rapid fire. Cynthia Weil was primarily a lyricist, and had gained a reputation for writing meaningful lyrics during a time when doo-wop and nonsense lyrics were the popular norm. Combined with Mann's musical ability, the duo quickly began making a name for themselves. At the time, Aldon Music, which was housed in the Brill Building in Manhattan, was the epicenter of the Sixties sound. The office was a warren of small, windowless cubicles. Each little room contained only a desk and a piano. Somehow, amidst the chaos, songwriting duos like Carol King and Gerry Goffin, Neil Sedaka and Howard Greenfield, Jerry Leiber and Mike Stoller–along with Mann and Weil–churned out hit after hit. The pair began writing together in 1960, and were married a year later. All day, every day, they wrote an ever expanding catalogue of socially conscious rock, pop, country, and Broadway songs that are now widely considered to be some of the best songs to come out of the sixties. They have since written 76 songs as a duo. Of those 76, 63 have charted in the Top 100, 24 in the Top 10, and two tracks have gone to #1. "You've Lost That Lovin' Feelin'," arguably their most famous song, is the most played track of the 20th century, and has been played on the radio over 14 million times and counting. 2,200 different artists have covered the track. They have also written hundreds of tracks separately, working alone and with other writing partners. Mann has written, or co-written, over 635 tracks, 98 of which have charted in the US. Weil has co-written hit songs for such artists as Lionel Ritchie, Chaka Khan, and Martina McBride, as well as serving as an album supervisor for numerous artists. As a duo, they were inducted into the Songwriting Hall of Fame in 1987. They were also awarded the prestigious Johnny Mercer Award from the Songwriter's Hall of Fame in 2011. 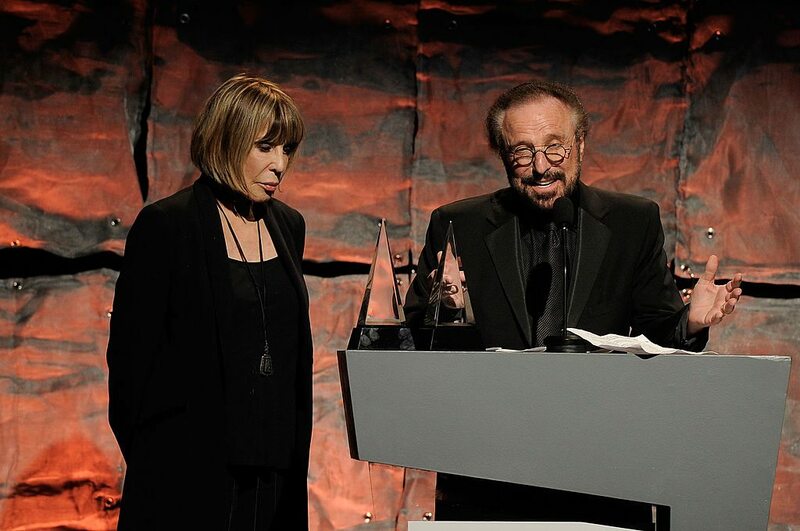 They were honored with the Ahmet Ertegun Award from the Rock and Roll Hall of Fame in 2010. They received two Grammy Awards in 1988, "Song of the Year" and "Best Song Written Specifically for a Motion Picture or Television" for their track, "Somewhere Out There," performed by Linda Ronstadt and James Ingram, written for the film "An American Tail." They have also been nominated for Golden Globes, Oscars, and a host of other awards. Here is a just a short list of some of their many famous tracks – "Uptown" performed by The Crystals; "My Dad" performed by Paul Petersen; "On Broadway" performed by The Drifters; "I'm Gonna Be Strong," originally performed by Frankie Laine (Went on to be a Top 10 in the US, performed by Gene Pitney, and a Top 30 hit in the UK, performed by Cyndi Lauper); "Walking in the Rain" performed The Ronettes; "You've Lost That Lovin' Feelin'" performed by The Righteous Brothers; "We Gotta Get Out of This Place" performed by The Animals; "Here You Come Again" performed by Dolly Parton; "Kicks" performed by Paul Revere & the Raiders; "Shape of Things to Come" performed by Max Frost and the Troopers; "I Just Can't Help Believing" originally performed by Bobby Vee (Went to the Top 10 in the US performed by B.J. Thomas, and the Top 10 in the UK performed by Elvis Presley); "Just Once" performed by Quincy Jones and James Ingram; "Never Gonna Let You Go" originally performed by Dionne Warwick (Went to the Top 10 performed by Sergio Mendes); "Don't Know Much" performed by Aaron Neville and Linda Ronstadt," "Somewhere Out There" performed by Linda Ronstadt and James Ingram; "I Will Come to You" performed by Hanson. The list goes on and on. To date, over 200 million copies of their tracks have been sold. Over the last decade, they have focused primarily on separate projects, and running their own publishing company, Dyad Music. They show no signs of slowing down, and their separate projects have continued to chart. Barry Mann has focused primarily on writing tracks and scores for film, and has also continued releasing solo albums. Cynthia Weil has focused primarily on album supervision and writing hit tracks for R&B and country artists, primarily. Whether working alone or together, Weil and Mann show no signs of slowing down. 55 years after their songwriting partnership began, the two are still going strong. Most recently, they were awarded the Trustee Award at the 57th Grammy Awards. The Trustee Award is given by the Recording Academy to "individuals who, during their careers in music, have made significant contributions, other than performance, to the field of recording." It's essentially the lifetime achievement award for non-performers. Based on their track record, no one deserved that award more than Mann and Weil. If you want to make a ton of money in the music industry you need to learn how to write a song. And if you're lucky enough to write one of these 10 songs, you and your children will live a very good life.